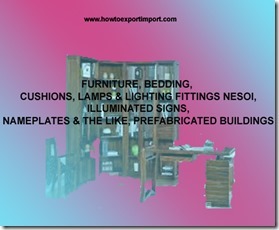 Furniture, lamps, bedding, mattress etc. Falls under HSN code chapter 94 of GST commodity tariff schedule. The details about GST rate changes for sale of furniture, lamps, bedding, mattress etc. Are being updated here. The notification changes on exemptions for GST for sale of furniture, lamps, bedding, mattress etc. And other circulars related to GST for Furniture, lamps, bedding, mattress are updated in this website. 1. Hurricane lanterns, Kerosene lamp/ lantern, petromax, glass chimney, accessories & components thereof [9405, 9405 50 31]. 2. LED lights or fixtures including LED lamps . 3. LED (light emitting diode) driver and MCPCB (Metal Core Printed Circuit Board) . 4. Coir products [except coir mattresses] . 5. Products wholly made of quilted textile materials . 1. Medical, surgical, dental or veterinary furniture (for example, operating tables, examination tables, hospital beds with mechanical fittings, dentists' chairs); barbers' chairs and similar chairs, having rotating as well as both reclining and elevating movements; parts of the foregoing articles . 2. Coir mattresses, cotton pillows, mattress and quilts . 1. 9401 Seats (other than those of heading 9402), whether or not convertible into beds, and parts thereof. 3. 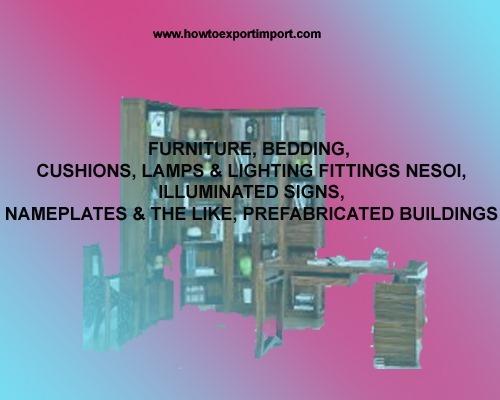 9404 Mattress supports; articles of bedding and similar furnishing (for example, mattresses, quilts, eiderdowns, cushions, pouffes and pillows) fitted with springs or stuffed or internally fitted with any material or of cellular rubber or plastics, whether or not covered. 4. 9405 Lamps and lighting fittings including searchlights and spotlights and parts thereof, not elsewhere specified or included; illuminated signs, illuminated nameplates and the like, having a permanently fixed light source, and parts thereof not elsewhere specified or included. What is the GST rate on Medical furniture’s? How much GST on surgical furniture’s? Manohar.C: On 19 May 2017 I need GST charge for the wooden furniture of a kind used in the drawing room. Sanjay Singh: On 10 August 2017 Sir, please provide the rate of GST on red sandal made a)furniture parts,b) planks and c) handicraft items for export and retail. Also inform the Govt. Document which are available online for reference, please. Thank you very much.